Mata Hari was an exotic dancer from the Netherlands who gained much fame in France as a dancer. During the First World War, she was arrested on charges of espionage and executed by a French firing squad. Evidence of her actual guilt is frequently questioned. Mata Hari was born 7 August 1876 in Leeuwarden, Netherlands. Her name at birth was Margaretha Geerruida Zelle. Until the age of 13, she lived a comfortable lifestyle, attending elite private schools paid for by her father. Her father doted much attention on his ‘little princess’ making her used to the attention of men. However, in 1889, her father went bankrupt and her parents soon divorced. She tried to study to be a kindergarten teacher but her godfather removed her after the Headmaster became attached to Margaretha. When she was 18, she answered a newspaper ad from a handsome Dutch officer living in Java, the East Indies. In those days it was common for Dutchman living in colonies to request wives by placing ads in papers. Margaretha moved to Java where the couple had two children. However, the marriage was not a happy one, with her husband, Rudolph Macleod, suffering from alcoholism; he would often be violent to his wife, blaming her for many of his own failings. Margaretha also had difficulty in her role as a housewife. She admitted “I was not content at home… I wanted to live like a colourful butterfly in the sun.” During her time in the Dutch East Indies, Margaretha took the opportunity to learn about native dance and the local customs. Later, she also had an affair with another Dutch officer, before being persuaded to return to her husband. However, they divorced in 1902, shortly after the tragic death of their young son. 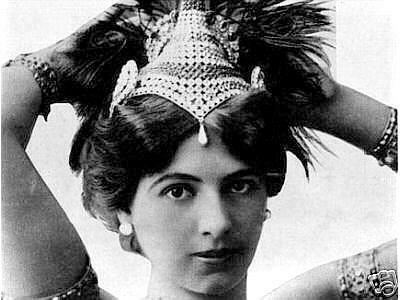 It was at this time that she took the name of Mata Hari – meaning “the eye of the day” in Java. She soon became well known for her flirtatious and sensual dancing. She helped usher in a new era of modern dance which sought inspiration from the East, Egypt and also had no inhibitions about revelling in the sexuality of the human body. With a tradition of Eastern dance, Mata Hari helped elevate exotic dance to a more respectable background. However, it was also criticised by others for its cheap eroticism in the garb of culture. 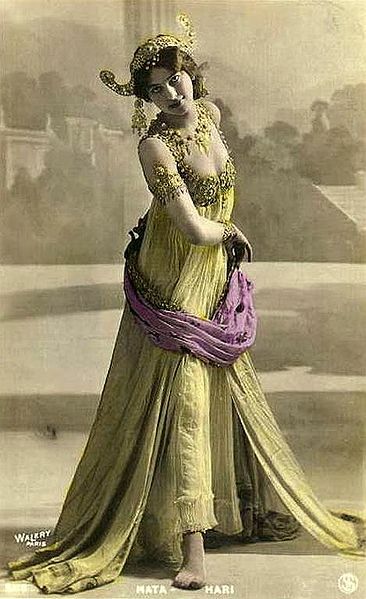 Mata Hari had several relationships with powerful men across the continent. This included Frederick William Ernest, the German crown prince, wealthy French businessmen and high ranking French military officers. The outbreak of the First World War placed her in a unique and difficult position. Initially, she found herself in Germany with her sources of finance cut off. But, with her usual resourcefulness, she was able to gain sufficient finances to restart travelling. With her Dutch nationality, (the Netherlands remained neutral in the war) she was able to cross different national boundaries. This took her between Germany and France often via Britain or Spain to avoid the front line. As she knew both high ranking German and Frenchmen, this inevitably placed her under suspicion as someone who could in theory transfer information about the other side’s war effort. On one occasion, she admitted to the British she was working as a spy for the French. However, the French never confirmed or denied this. In January 1917, the French intercepted a coded message from the Germans saying they had gained much useful information from a German spy code-named H-21. From this information, suspicion fell on Mata Hari and she was arrested. It later emerged the Germans knew their code had been broken, so the Germans may have contrived to send this message framing Mata Hari, who might really have been working for French. On flimsy evidence, she was convicted of spying. Thirty years after the trial, one of the prosecutors admitted there wasn’t enough evidence to ‘flog a dead cat’. 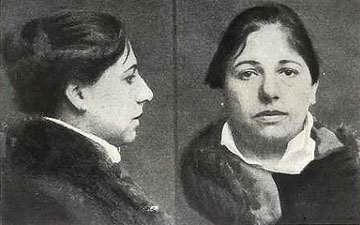 After a trial, she was executed by firing squad on 15 October 1917. Twelve soldiers were in the firing squad. After the order to shoot was given, she sank to her knees, an officer then shot her in the head with a pistol to make sure she was dead. After her death, her life has been the subject of many different accounts which have tended to embellish on certain details of her life.